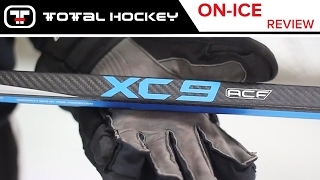 TRUE XCore XC9 ACF Grip Composite Hockey Stick - Intermediate is rated 5.0 out of 5 by 2. THE PRECISION SHOOTER'S STICK. Unmatched accuracy. Unparalleled control. Ultimate feel. Embedded into the blade, XCORE technology produces up to 30% more puck spin on contact, resulting in pinpoint precision when shooting or passing. The compressible urethane insert cradles the puck during stick handling and receiving hard passes. When combined with modified Braided Rib Technology (BRT), the face bond of the blade is improved, enhancing durability and consistency throughout the blade's life. TRUE's one-piece compression molded shaft makes their sticks one-of-a-kind. The consistent shaft walls paired with XCORE blade technology increases balance for unparalleled control. With up to 25 layers of unidirectional carbon fiber, TRUE engineers have perfected the laminate design to create a consistent, durable stick with the ultimate feel for optimal performance. 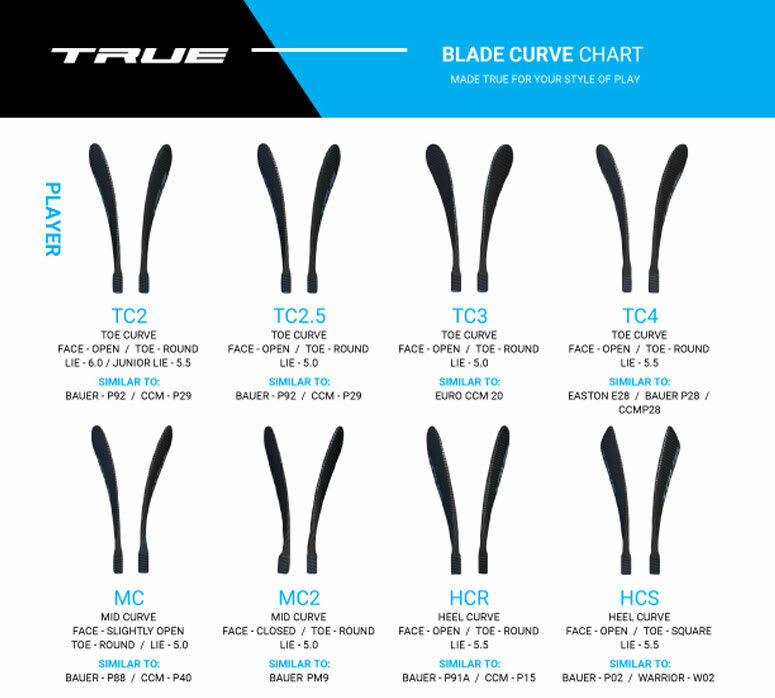 TRUE's composite design technology offers an optimized, varied stiffness distribution throughout the shaft. When combined with their XCORE blade technology, it maximizes performance for the most accurate shots. Measured Product: TC2-5 Curve 58 Flex The specifications of the product used to measure weight and length. Kick Point Position: Mid with SmartFlex Inflection point where maximum stored energy is released. Rated 5 out of 5 by Coach Ron from Satisfaction! Great service and a great product being used by my son at U14 level. Is this a grip stick? Do you know if at some point in the future you'll have that flex? The True Hockey website makes it 58-68, but I prefer to buy from you guys. Does this come in a 65 or 67 flex?